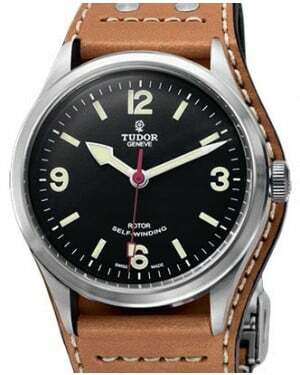 Aesthetically influenced by an Oyster Prince Ranger model from the 1960s, the Tudor Heritage Ranger is a modern interpretation, which subtly brings the timepiece up to date. Visually, the watch has clear vintage appeal, with its dome shaped sapphire crystal, large screw-down winding crown and minimalist plain black dial. Moreover, just like the original watch, the dial markers are painted on, giving it an added touch of classic authenticity. At the same time, the Ranger has been modernised, with a larger case shape measuring 41mm in diameter and an updated in-house self-winding mechanical movement; the TUDOR calibre 2824. 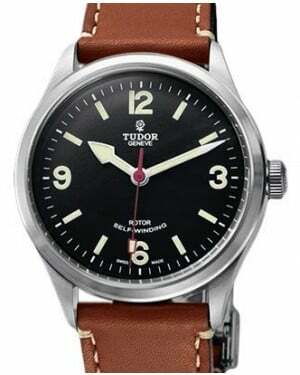 The Tudor Heritage Ranger has genuine vintage quality and is able to effortlessly fit in at any occasion, from the formal to the casual.